There are many web front ends to the OpenVZ virtualisation server which offer varying functionality and are at different stages of development. Take a look at the OpenVZ Control Panels wiki page for a list and a brief description of what each one does. One that I have found to be very stable, easy to use and the most feature rich is the OpenVZ Web Panel (OWP). It allows you to create and destroy new OpenVZ containers, manage networking, download new OS templates and a few other things all from a clean web based front end. Installing the OpenVZ Web Portal couldn’t be easier – simply run a one-line command on the terminal and let the script do the rest. The script will download all the required dependencies, such as Ruby, and set everything up so that you have a working web address which you can use to administer your OpenVZ server. Run the below command on your OpenVZ server. If you have iptables installed you will need to add a new rule for the default port 3000. You can also change the port number by editing the config file of OWP. And change the PORT attribute to the new port number. Remember to update your iptables configuration to the new port number. See my iptables cheat sheet for more information. 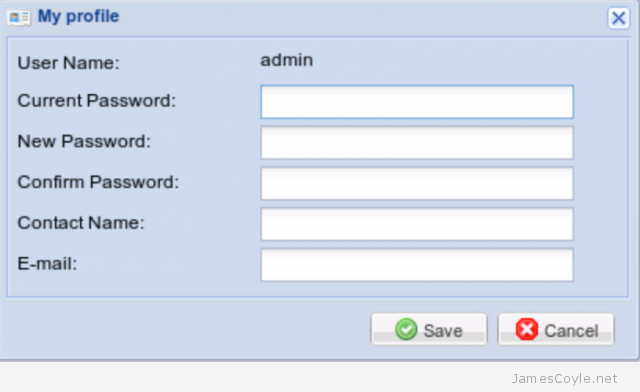 Once you have logged in you will need to change the default admin password. Click on My Profile on the left hand side and fill in the information as requested. The next time you log in you will be able to log in with your new password.